You receive solutions to your immigration problems. 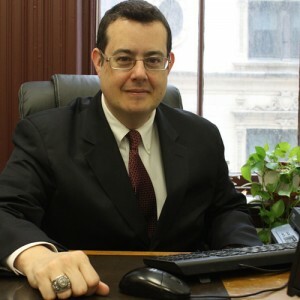 From removal (deportation) defense to asylum, visas to naturalization, Attorney Josh Paulin provides personalized attention to you and your family while helping you navigate through the rapidly changing and often complex maze of the immigration process. Josh provides personal attention to each and every client, focusing on your unique immigration situation. To Josh, you’re not just another file folder on his desk. He keeps you updated at every stage of your case, and if you call him with a question, he returns your call quickly. You’ll know about every ruling, hearing, or request from the court, and Josh explains the process at every turn. The immigration process can be confusing, but Josh takes the time to clarify the complexities of your case to you. Josh stays updated on the latest immigration law news in order to provide current information to you and ensure that your matter is being handled properly. He’ll know how the latest rulings apply to your case. Josh handles all aspects of immigration matters, including deportation defense; asylum; cancellation of removal; naturalization; family visas (adjustment of status and consular processing); employment-based immigrant visas; and nonimmigrant visas, including H, K, O, and P visas. He charges a flat fee for his services, so you don’t get unwelcome surprises on your bills. When you pay your fee, you can feel confident in knowing that Josh will contact you regularly with status updates and get the results you want. You’ll never have to worry about the status of your case or need to call repeatedly to get answers to your questions. With over ten years of experience in immigration law and a genuine passion for solving immigration problems, Josh has been named “Outstanding Immigration Attorney” by the Brazilian Immigrant Center. He was also twice honored by the American Immigration Lawyers Association as an AILA Pro Bono Champion and by the Irish Immigration Center for Outstanding Pro Bono Services. Josh has also been published in several magazines, including Jornal Imigrante and the American Bar Association’s GP Solo Magazine. He regularly gives presentations at community organizations and churches and has educated his colleagues in talks and articles. After receiving his J.D. from Washington & Lee University School of Law in 1998, Josh was admitted to practice before the Massachusetts Supreme Judicial Court (1998), the United States District Court, District of Massachusetts (2004), and the United States Court of Appeals for the First Circuit (2004). His main office is conveniently located near South Station in Boston, with a satellite office in Framingham by appointment. In addition to his native English, Josh speaks Portuguese and Spanish. Call today for a consultation at 617.482.4669 (English & Spanish) or 617.482.3463 (Portuguese) and find the solutions to your immigration problems.